Bellingham + Stanley manufactures high quality ‘general purpose polarimeters’ for use in a variety of applications, along with a range of sample tubes and quartz control plates for instrument validation. The ADP600 Series of Peltier temperature controlled polarimeters are designed to meet the needs of the most demanding applications within the chemical, pharmaceutical & food sectors making it an ideal instrument for scientists wishing to research the characteristics of chiral compounds. 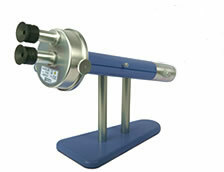 The ADP600 Series comprises of six models varying only by the wavelength of measurement, including the highly sensitive ultra-violet region. All ADP600 series Polarimeters are capable of measuring to four decimal places at constant temperatures of temperatures of 20 & 25 °C, set by an integral METHODS system accessed via a high definition touch-screen user interface. 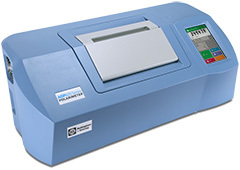 The ADP440+ is a high accuracy polarimeter capable of giving results to 3 decimal places angular. High security software fulfils the operational requirements of FDA regulation 21 CFR Part 11, whilst the onboard software facilitates measurement in accordance with industry standard methods including PURITY, Specific Rotation, Concentration and inversion. The instrument conforms to the minimum requirement of USP/EP/BP. The ADP440+ is fitted with RFID user identification. The ADP410 polarimeter has been specifically designed for applications that require automatic measurement with a resolution to 0.01 but without the additional features of more expensive polarimeters. Both angular and sugar scales are available by simple push button operation with results available in 15 seconds by bright LED display or print function. By definition, a Saccharimeter is a purpose built polarimeter that displays results in the ISS (°Z) scale. Designed with the sugar industry in mind, Bellingham + Stanley offer two Saccharimeters that differ only by the wavelength used for the measurement process. 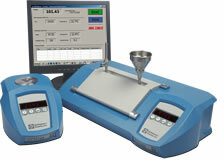 The ADS420 Saccharimeter uses the traditional Sodium wavelength whilst the new ADS480 Saccharimeter facilitates ‘lead-free measurement’ as it operates in the NIR bandwidth. Both models feature low maintenance LED light source technology not available anywhere else on a fully automatic digital instruments of this type. 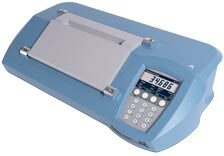 ADS Saccharimeters are available in a number of supply formats to allow for easy procurement and installation, whether for single sample analysis or as part of an automated Tare House receiving system. Specifically designed for teaching environments and laboratories that have a low throughput of samples, the Model D7 polarimeter is a high quality, relatively high accuracy optical polarimeter that blends classic operation with modern day technology.